First off, What is a side-hustle? The ”hustle” part is to work hard towards the goal of making money. The side-hustle is what you’re willing to do to make some extra money away from your regular job. Bottom line is, it’s what one does to make additional money on the side. Millennial is said to be the biggest pursuers of side hustles. How To Find a side hustle. Do You Have a Side Hustle? Finding The Right One For You. If you are working on something and making money from it other than your main source of income, you have a side hustle. I think most of us could use a side hustle. If you’re the average Joe or Jane working at that typical job, living from pay cheque to pay cheque; You could benefit from a side hustle. Your side hustle should be something that you are passionate about, something you enjoy doing that can generate an income. Who wants to grind out 8 hours daily and then grind another few hours daily to make some extra money? Nobody, your hustle should give the flexibility to work at it at on your schedule. We want to enjoy doing, working at our side hustle, it should be fun. Would any of these side hustle work for you. Teaching online – If qualified this can be done on an education platform that connects students and teachers from around the world. 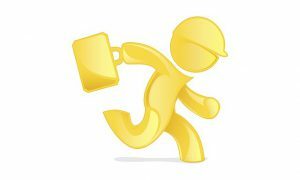 Handy Person – Are you the fixer of things at home. Seniors in need of small fixes around their home is a great way to earn some cash. Bookkeeping – You can do books for small business locally – I learned Quick books on Youtube and now do the books for a local business. Affiliate Marketing is a great side hustle, there are so many different programs you can join and they are free to join. Research the ones that have products or services that interest you and you’ll be hustling in no time. Yes, there are a lot of things that can be turned into a side hustle, but which ones are worth doing? Sometimes the hustle just isn’t worth the effort, it’s just not profitable and the reason for the hustle is ”money”. How much do you want to make with your side hustle? You should dig deep into what you want it to be before committing to doing it. Is this your Idea and is it easily explainable? Can The Idea Be Profitable – Will You be paid more than once? Does Your Idea solve a problem for anyone? Can you turn your idea into a hustle quickly with little effort? Be sure that your hustle starts out with how you will make money from it. Some side hustle can turn into something that is much bigger than your main source of income but first, you have to get it going. A side hustle is supposed to be enjoyable, without much effort or large start-up capital, if yours is not, then maybe it’s the wrong hustle. Why are so many millennial (people born between the early 1980s and early 2000s) doing a side hustle? A survey done in 2017 shows that about 50% of millennial and 25% of boomers have a side hustle. As we know it can be anything from renting out that spare bedroom and also because of technology you can sell almost anything online to make money. We all hustle to make extra cash but I read that the reason is mainly different for both group; millennial are said to be doing side hustles to help pay for their student loans or to fuel their brand name shopping sprees while boomers are doing the hustle because they just don’t have enough saving to retire on. Millennial has a slightly higher income from their hustles than boomers and that may be because of technology and how the two groups differ in the way they use it to market their hustle. If your hustle is online and most are, then you have to promote your hustle to get noticed. Don’t know how to do that, you can find help here. I’m always on the lookout for a good hustle. Personally, I would rather be doing a lot of side hustles that I enjoy than doing that 9-5 on someone else schedule. Make a list of possible hustle, write this down on paper or computer. You cannot go through the process of eliminating the ones that will be a waste of time and effort if you just keeping them churning around in your head. My biggest criteria when starting a hustle is the ability to do it anywhere because I want the freedom to work on my laptop anywhere I choose. Of course, the money is important (that’s why we hustle), so although I want the freedom I always set a value on my time, if my hustle does not meet the dollar value for my time(over a period of time), I will not waste my time staying with that hustle. Although we all hustle for the money there are a lot of other benefits you get from side hustle. You can expand your social reach and make some new friends along the way. If you are seriously looking to put some extra cash in your pocket you should go ahead and find yourself a Side Hustle. Like this pos, I am a senior looking to for a hustle. Sometimes the hustle doesn’t work out and you have to try something else, just don’t give up trying. If you have a hustle that’s working for you stick to it. Thanks for stopping.